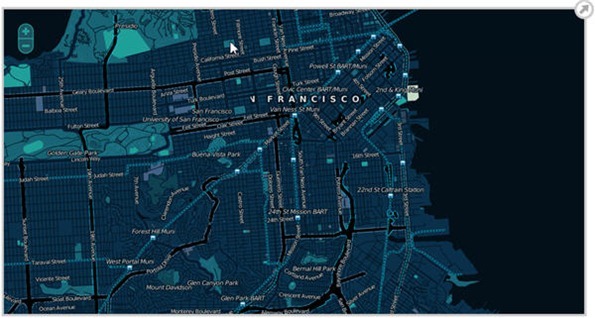 Polymaps uses Scalable Vector Graphics (SVG) to display information on top of existing maps. Because the data can be loaded at a range of scales, the information can be shown at many levels, from Country level down to individual streets. Designers and developers can style and design the data using Cascading Style Sheets. Users can set which direction is north on a map, zoom in to see the quality of a street surface and group data into clusters. 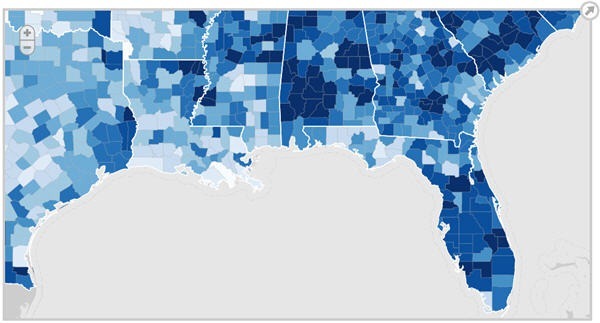 Static map images can be overlaid with data sets and colorful presentations using vector data. 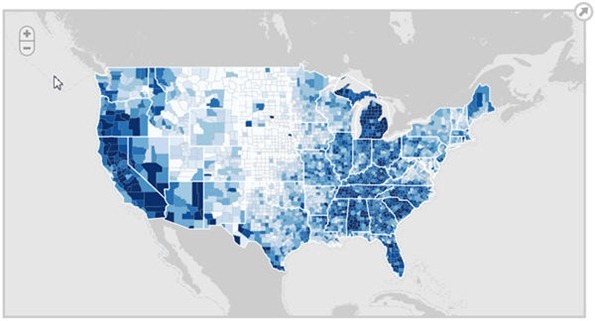 These maps of the United States show unemployment rates in over 3000 counties using a choropleth map. Users can zoom in for higher resolution and to see county names and numbers. The map background is a monochrome image layer from CloudMade. A cluster map is used to visualize discrete events across time and space. 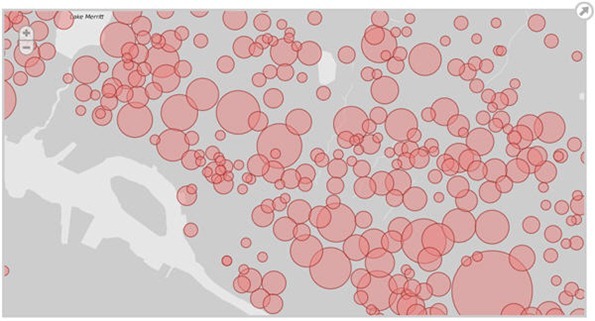 This map uses k-means clustering to coalesce dots and visualize the density of crime in Oakland. Customized San Francisco map constructed using a single image layer of CloudMade tiles. The Polymaps site includes the library download, documentation and sample source code showing how to implement the maps on your site.